The use of lifts during an operational incident has been much discussed and debated over the years. Even now there are two camps. 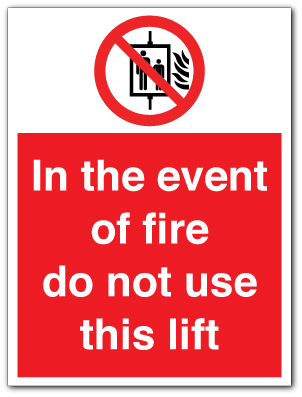 One that says the only usable lift (during an incident) is a fully compliant BS/EN firefighting lift. The other is that the use of a lift will enhance the ability of crews to work in the high rise envirment (by lessening physical fatigue). Perhaps a more pragmatic view should be that Fire fighters and Incident commanders use there acknowledged ability to risk assess in a dynamic enviroment to decide if the lift can or should be used. This will be a 'balancing pros and cons' analysis. 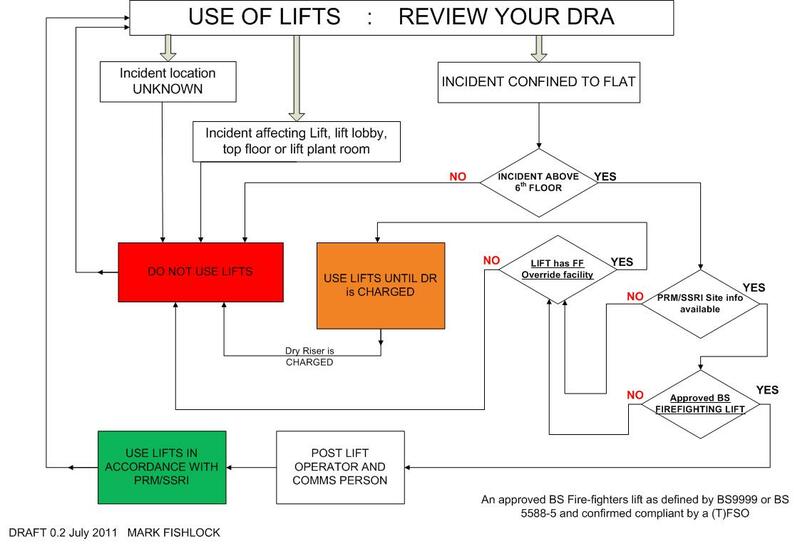 To assist with this we have produced a flow chart that gives generic guidance on lift usage at an incident. Firefighters working in full PPE and carrying heavy equipment up stairwells WILL suffer from varying degrees of exerstion and exhaustion. Exhaustion can have a minor detrimental affect on the cognitive abilities of firefighters (decision making) but the physical aspects can be far more serious. It should be expected that Firefighters maintain a good level of fitness to enable them to perform there jobs safely. In reality the recent 'Williams report' (1) seems to suggest that Firefighters on average fitter than the general populous BUT it acknowledges that there is research that states that firefighters are no fitter than the general populous. There is also a gender issue with women being far less likely to reach acceptable fitness levels with older age. In recent experimentation (2) it was confirmed that Fire fighter, given exercise tasks involving climbing staircases and then committing to Breathing apparatus search and rescue operations, performed poorly. This was attributed to physical exhaustion and elevated body core temperatures. Candidates taking part in these experiment were generally regarded as having high fitness standards. In local experiments and trials it has been observed that even very fit Fire fighters walking up a 16 story staircases, in full PPE, wearing BA sets (not started up) and carrying equipment (within safe handling criteria) were suffering exhaustion. It is questionable that these firefighters would be suitable for immediate or urgent deployment into a fire situation without a short period of rest. Only consider use if its a 'Fire fighting lift" ?
" The use of lifts can greatly reduce the workload and therefor the physiological stress imposed upon firefighting crews when accessing the bridgehead, care should be taken to ensure that only firefighting lifts are utilised. These will be clearly marked in accordance with BS55499-1; however they should be identified during the preplanning phase e.g. 7(2)d inspections. 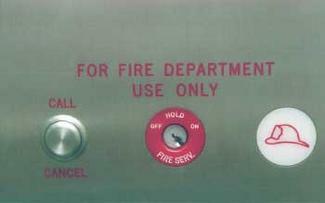 Early control of the Firefighting lifts should be taken. If any doubt exists as to which floors a lift serves its use should be avoided. Lift usage must terminate at the bridgehead floor level or staging area, never at the fire floor"
This guidance could be construed as overly risk averse and at odds with the concept of 'operational discretion' and dynamic risk assessment. A more balanced approach could be that that the risk assessment of the ' use of lifts' must take into consideration the levels of protection that the specific lift might give fire crews using it. This risk assessment requires that the person making the assessment, usually the Incident commander (IC), is well informed as to the fires location, its potential to spread,the design of the lift and the adverse effect lift usage can have on an incident.